Standard Data Battery 7.2V (730mAh), up to 1.5 hour recording. Standard Data Battery 7.2V (1460mAh), up to 2.5 hour recording. Extended Power Data Battery 7.2V (2190mAh), up to 4.5 hour recording. 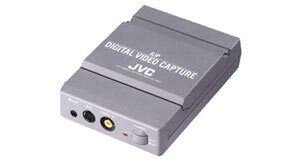 Starter kit for most JVC Digital Camcorders. 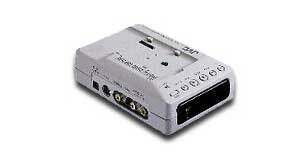 The convenient STEREO MICROPHONE allows clear high-quality audio recording to your video footage. High capacity 7.2V / 700mAh lithium-ion rechargeable battery. It will provide approximately up to 1.5 hour recording time. High capacity 7.2V / 1400mAh lithium-ion rechargeable battery. It will provide approximately up to 3 hour recording time. This Multifunction Carrying Bag was designed exclusively for Everio cameras. Kit includes BN-VF815 Data Battery and CB-AM51 Multifunction Carrying Bag. Marine case for up to 98 feet (30 meters) under high water pressure with the GR-HD1. Everio semi hard carrying bag is the perfect solution for everyday accessories. Kit includes BN-VF808 Data Battery and CB-VM42 Carrying Bag. Black soft carrying bag. 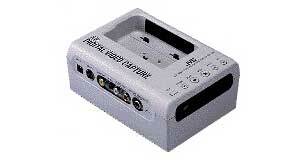 Can be used with BN-VF707US/BN-VF714US data battery.